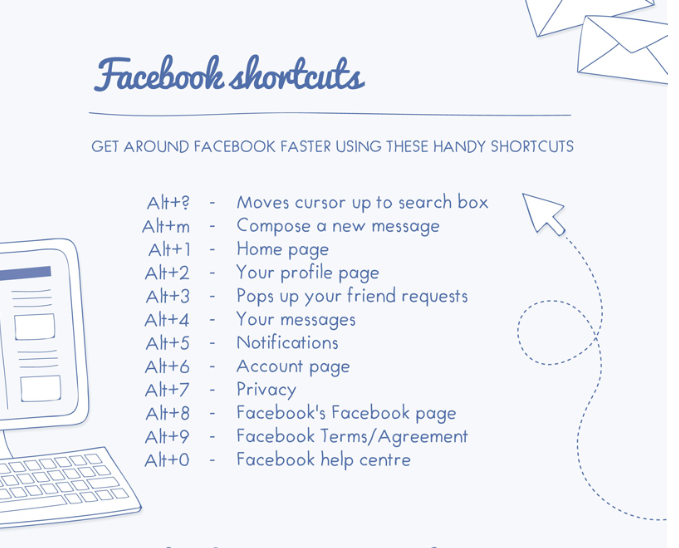 Facebook Cheat sheet: this cool cheat sheet covers plenty of Facebook shortcuts. It also includes emoticons too. Google+ Shortcuts: it provides you with basic tips and shortcuts for Google+ so you can get things done on it more easily. 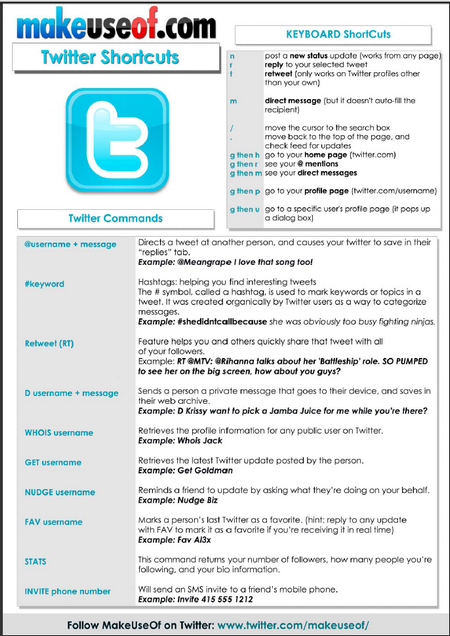 Twitter Shortcuts: this cheat sheet by Makeuseof.com covers the main shortcuts for Twitter, including keyboard shortcuts. 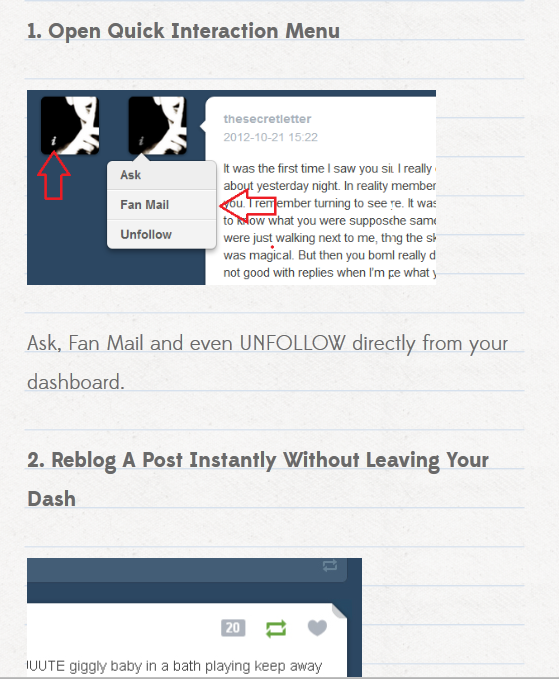 Tumblr Shortcut: Tumblr is still a pretty powerful social community to be a part of. It could drive a considerable amount of traffic to your business. 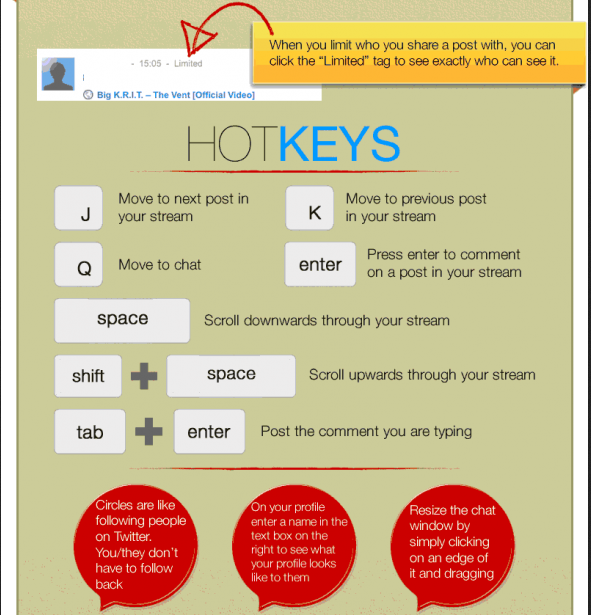 This cheat sheet covers some basic shortcuts for Tumblr.